It left me feeling speechless. Furry fandom is a recent phenomenon, but anthropomorphism is an instinct hard-wired into the human mind: the desire to see animals on a more equal footing with people. It’s existed since the beginning of time in prehistoric cave paintings, ancient gods, and tribal rituals. It lives on today - not just in the sports mascots and cartoon characters we see everywhere, but in stage plays, art galleries, serious literature, performance art, and among furry fans who bring their make-believe characters to life. Great story! Gives me a new perspective on its subject! I loved the story. Being a straight man, I used to not think much about homosexual people. Now I have great sympathy for them, because I realize that they often have to go through a great deal of pain and grief just to be able to show affection for someone they truly care about. This book actually made me cry, which is a nearly impossible feat for a book. It also helps that all of the characters are furries! I'm sorry, but anthropomorphic animals will always be cuter to me than humans. 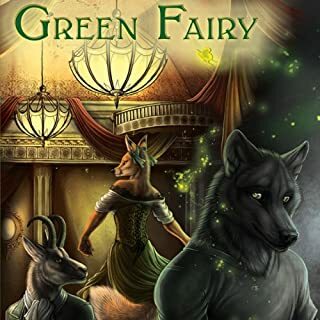 I would definitely recommend this audiobook to my friends because I know they will fall in love with the characters and the story like I did when I first read this book back in 2009. 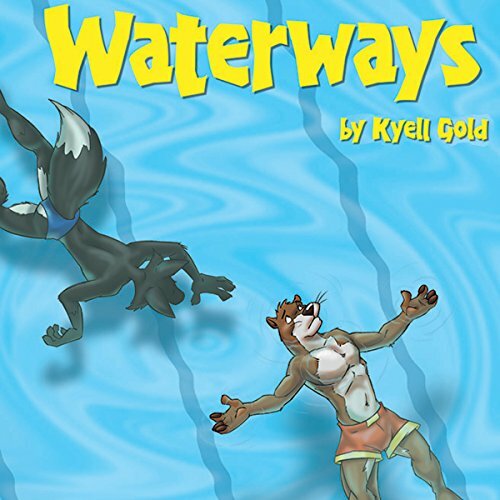 Waterways has been one of my favorite book from Kyell Gold. Ever since I first read this story, the characters has provided inspirations for me during difficult times of my life. I find myself relating to the things that happen to Kory in the story, some of which parallel what was going on in my life at the time. I've read and re-read both the entire book and sections from the story multiple times and it helped me find the strength to believe I can get through the obstacles I was facing and that things get better. Then there were a couple years during which some very big events of my life took place and in that time I hadn't been able to revisit Waterways and many other books that I greatly enjoyed. 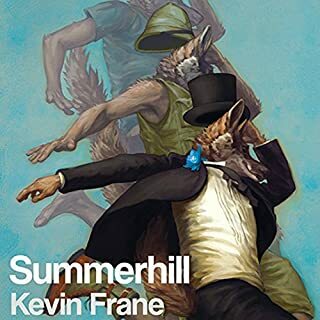 However, when I saw the author's blog post about the audiobook release, I did not hesitate in clicking the add to cart and buy button and listening to the story felt like falling in love all over again. I was pleased that I remember all the things that happens in the book, but what came as a surprised for me was that it was a completely different experience than before. The past 3 or 4 years of my life had changed me and my outlook on things tremendously, but when listening to the story, I was reminded of a younger, more naive version of myself by Kory while at the same time I was seeing how much I had changed and grown. 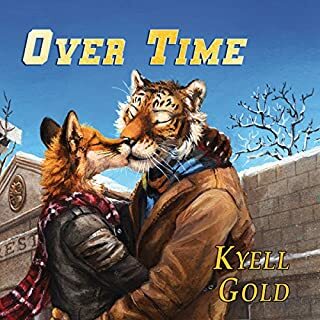 By the time I finished listening to the audiobook, I felt a sense that I also came out on the other side of my struggles just as Kory did with his. Robert Clark's narration is by far my favorite from the audiobooks I listened to on audible, albeit I've only listened to about 7 different narrators so far. He puts so much life into each of the characters that I love and hate. I would definitely like to check out other books he narrates. Yes, it was really emotional for me, I cried and laugh and rewind to listen to specific scenes over and over. Would you listen to Waterways again? Why? Yes. This book has had an emotional impact on me. I recommend this book to anyone of the LGBT community. A wonderful book that makes you feel terrible and happy 1000 times over; all while reliving the fears of your own life, Homosexual or not. great characters, good narrative didnt like how Cory made his mother the bad guy that felt way to rushed. A beautiful story about love and acceptance that doesn't require being a furry to enjoy. 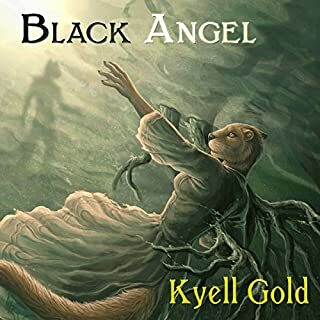 Robert Clark is a great narrator and Kyell Gold is a wonderful and charming writer. I love the story. It was well written and beautifully narrated. This is my benchmark that I hold other great audiobooks to. Definitely a story I can relate to, a lot of it reminiscent and similar to some of my own life experiences. Waterways is a masterpiece in deep emotional furry romance, it made me laugh and cry on multiple occasions and I really felt for each and every character, it is so amazingly and realistically written, I want to live in the world of this novel. 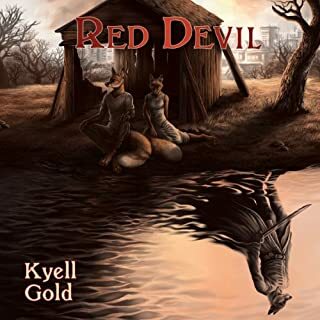 Kyell Gold has managed to capture my heart with the tale of Kory and Samaki, the book is highly relatable for me and it has a very special place in my heart. 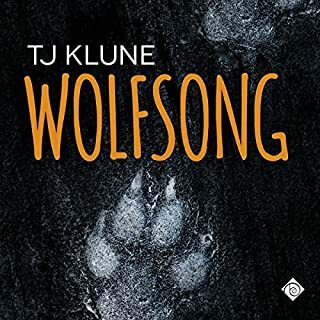 Not only is the writing so amazingly realistic and well done, the narration is also flawless, making this a novel you will want to listen to time and time again, start to finish, with no breaks. Such an amazing book i loved it wish there was more to read such a talented author!!!! I have just finished listening to this amazing novel for the 5th time and it always brings a tear to my eye and a warmth in my heart. a great, well written, comforting and helpfull story, especially for someone like me who realised that they weren't straight and had some level of anxiety over it. This is hands down one of the best books I have ever read. The characters feel very human (ironically) and relatable. Gives a great preapective on LGBT relationships and really pulls on the heart strings. Really didn't want this one to end.